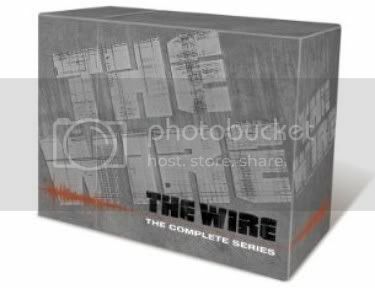 For today only, Amazon has got The Wire: The Complete Series DVD set on sale for $81.99, which is $52.50 off yesterday’s price of $134.49 and 67% off the list price of $249.99. When I say that this HBO series offered five of the best seasons of programming ever to grace my television screen, I’m not engaging in hyperbole. I’m saying that I will eagerly rush to unfavorable judgments about you if you are not already (a) on this bandwagon, or (b) standing in line to buy your tickets to get on the bandwagon. Which is a metaphor. For buying the DVD set already, for Pete’s sake. Sweet deal! I miss McNulty and Avon. And I would totally watch a spinoff show about Poot and his tribulations from working in that Foot Locker wannabe. That would rock. Next post: Geek Steal: 64% off the Complete Series of Deadwood! Geek Steal: 70% off Stargate SG-1 – The Complete Series Collection!